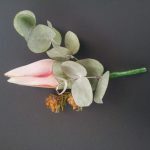 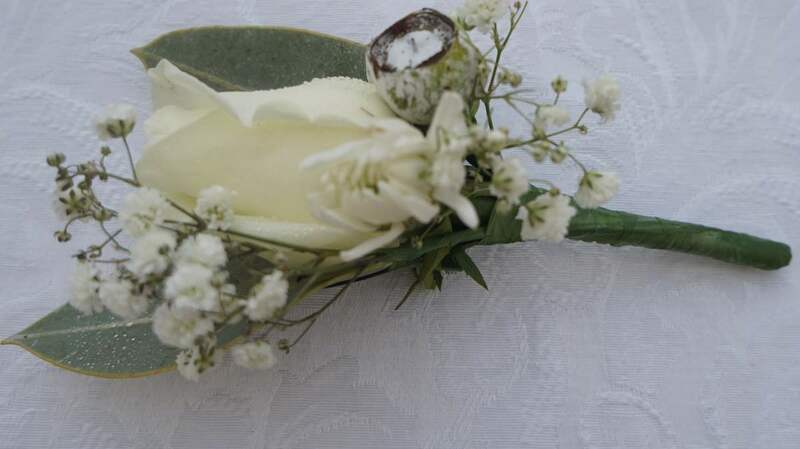 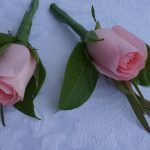 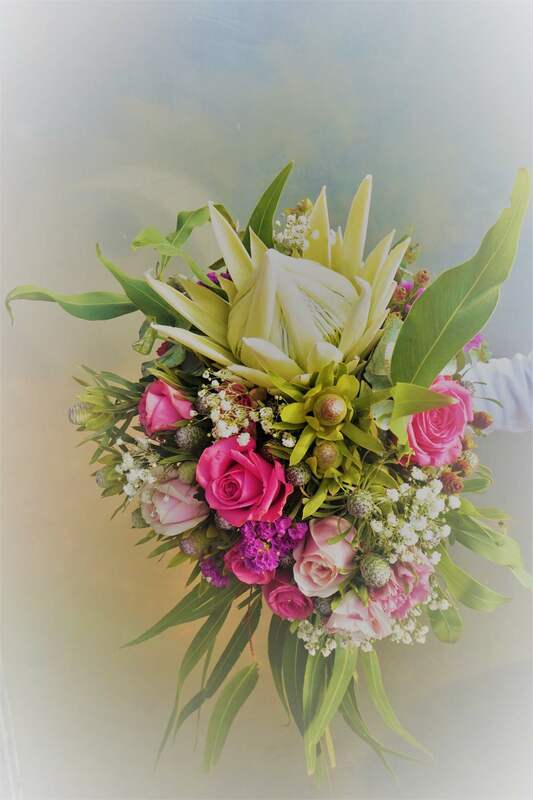 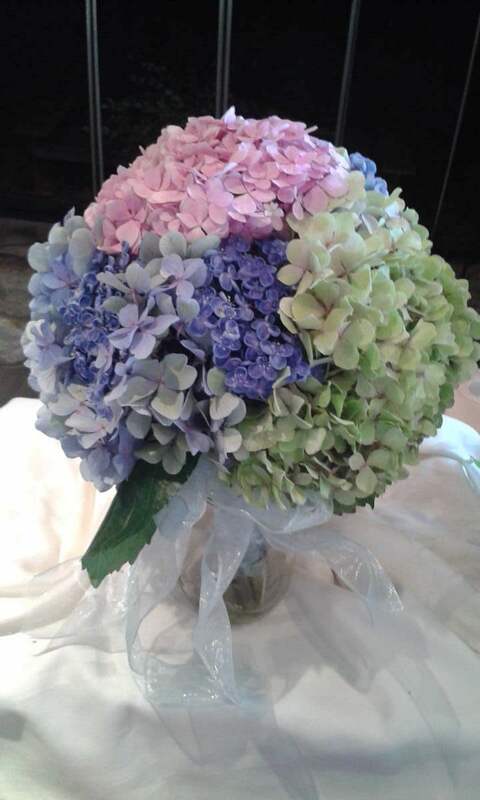 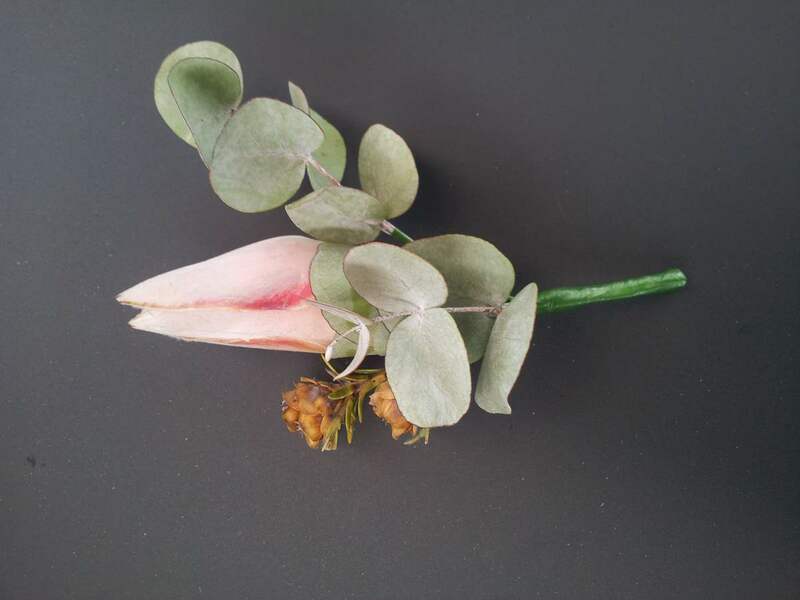 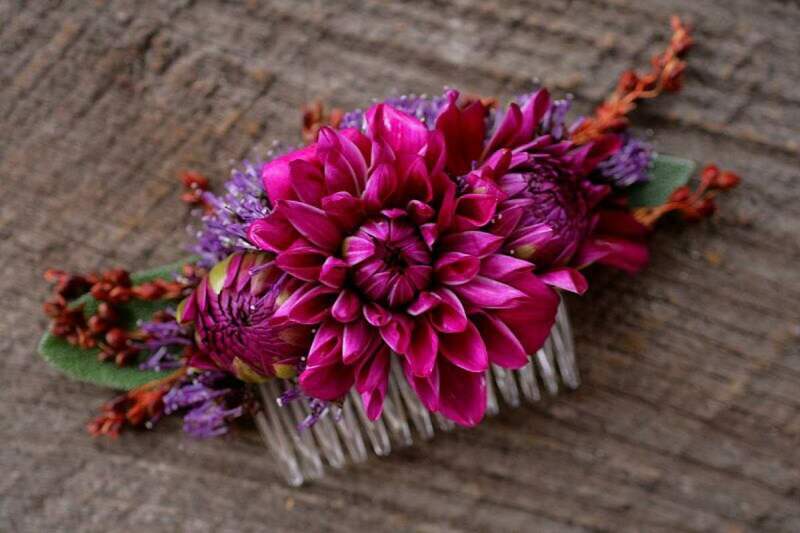 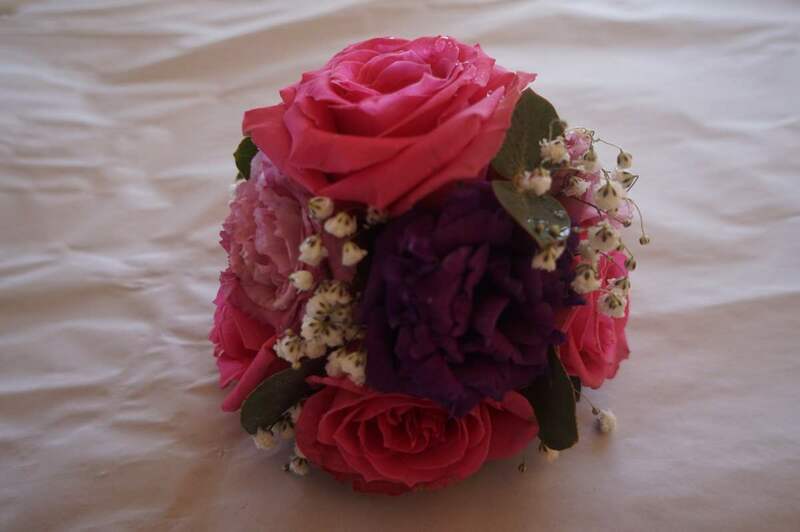 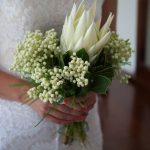 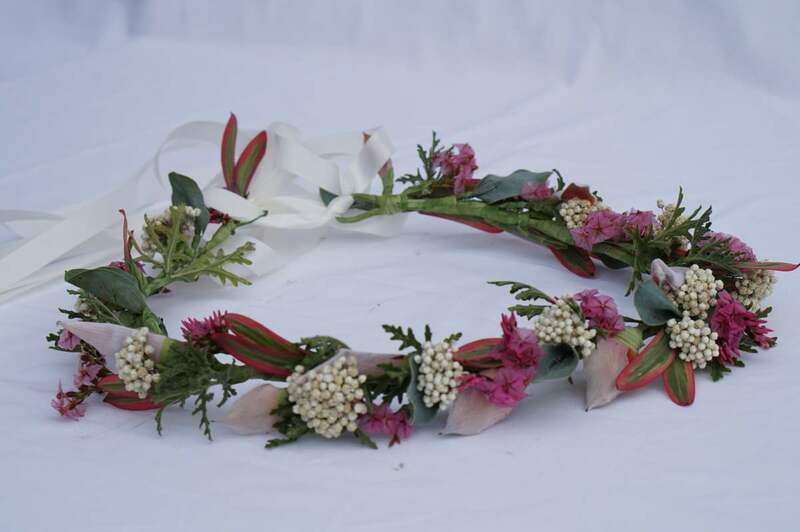 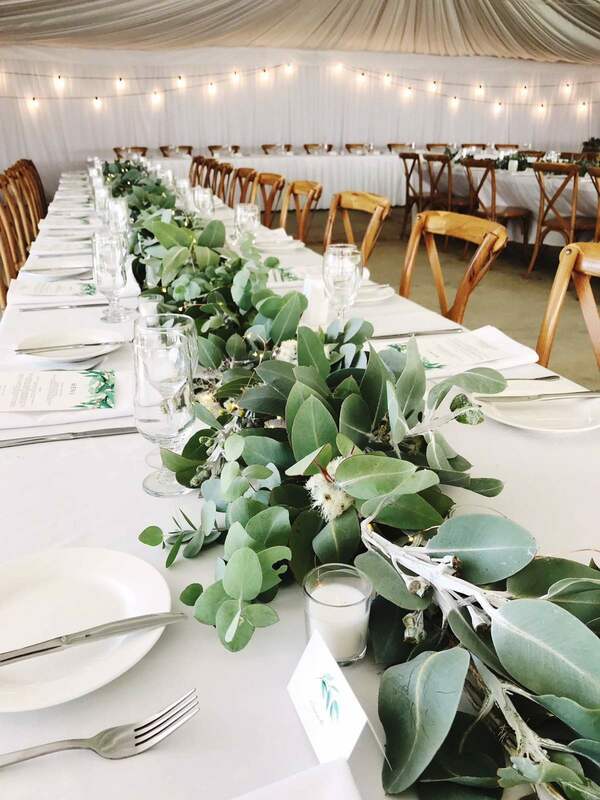 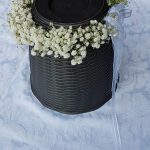 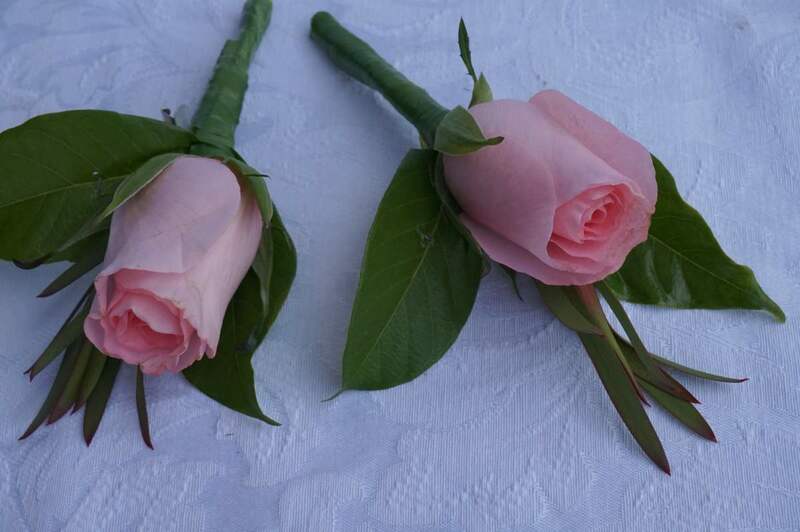 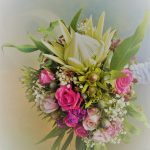 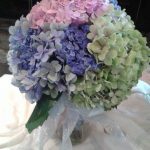 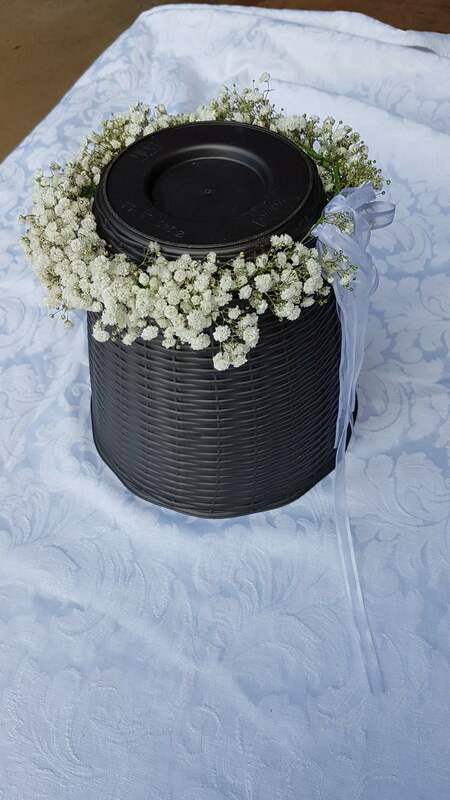 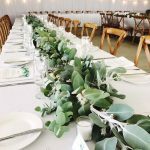 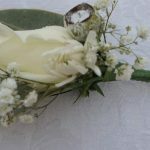 We can cater for any or all of your wedding flowers including bouquets, posies, headbands, halos, corsages, table arrangements and decorative arrangements to enhance the ceremony venue. 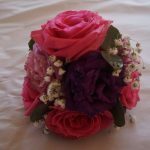 We will plan your designs to enhance your dress and the flavour of the wedding you choose. 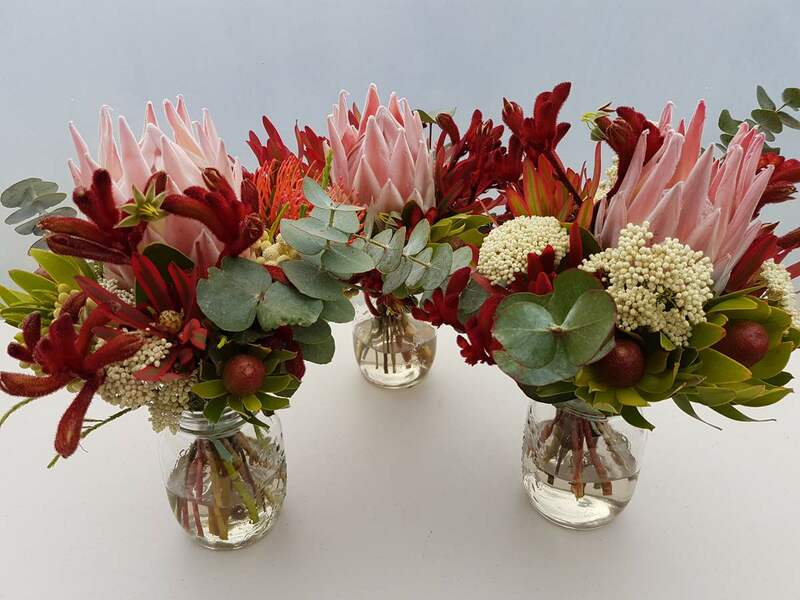 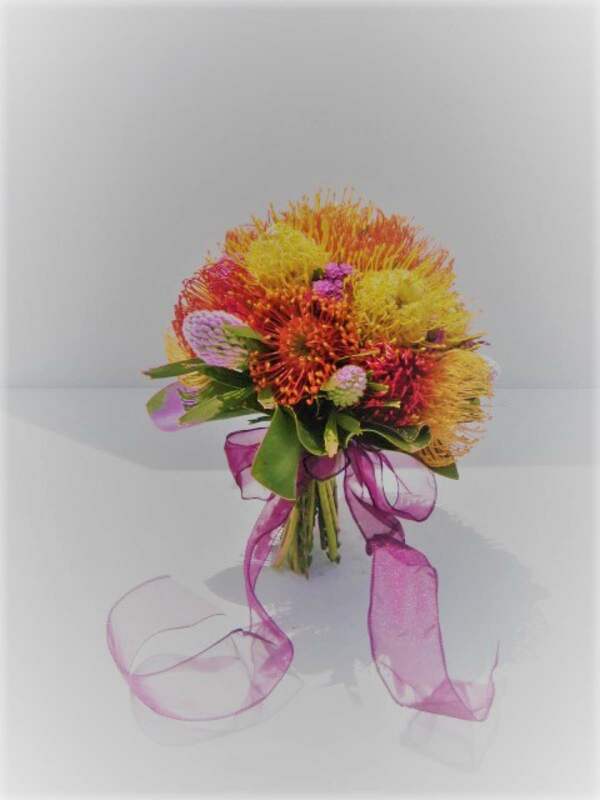 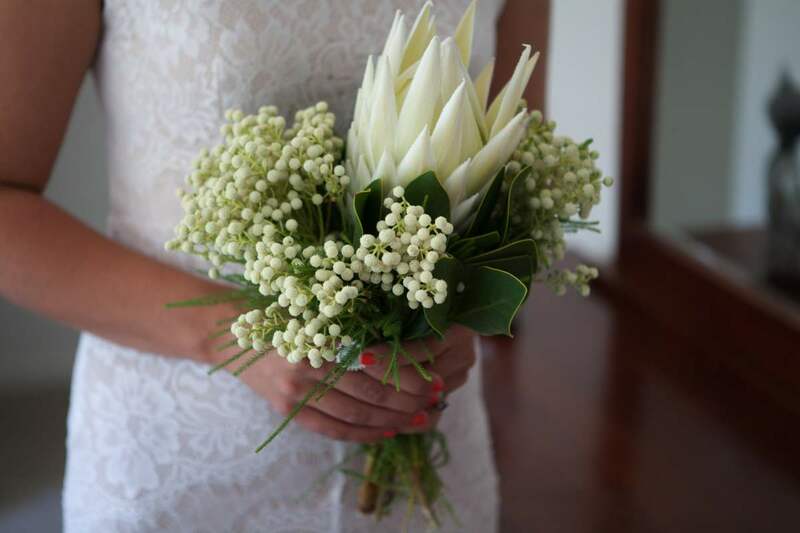 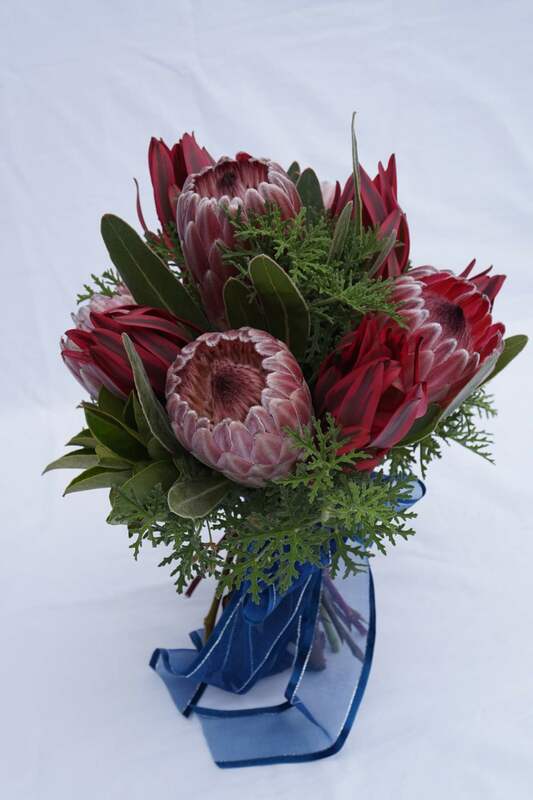 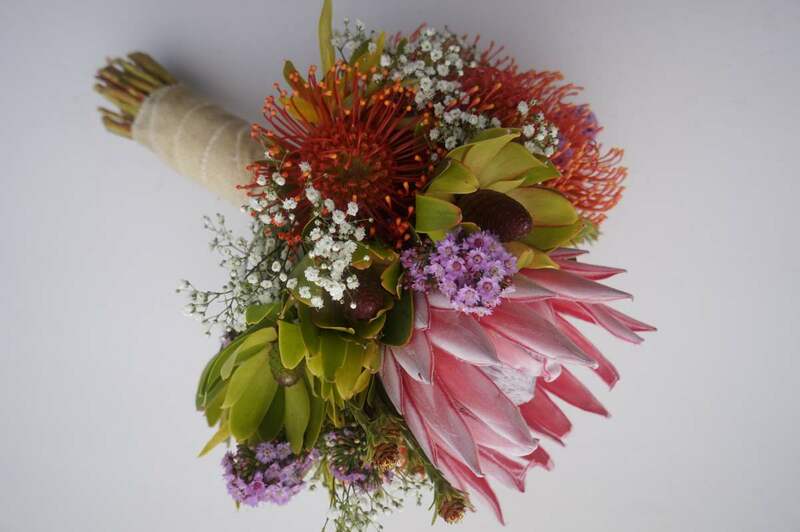 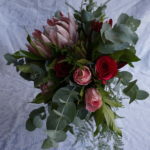 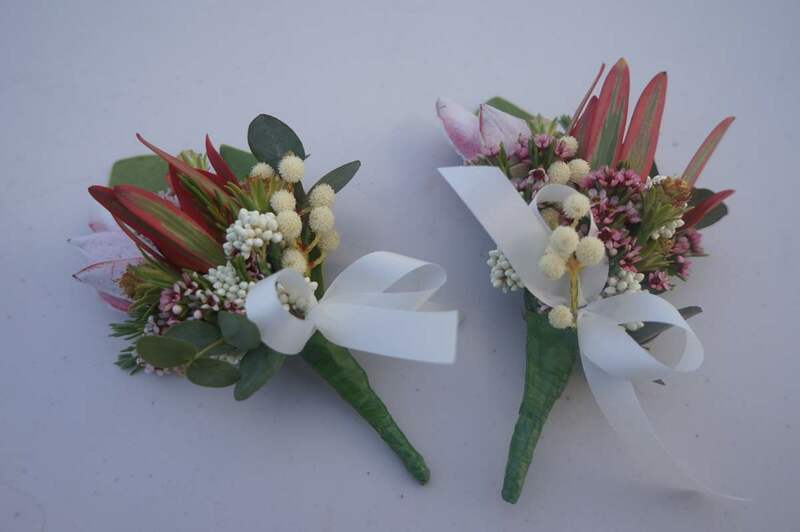 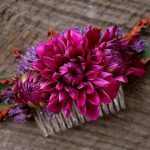 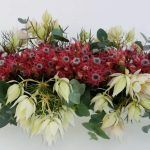 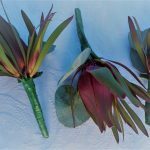 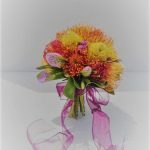 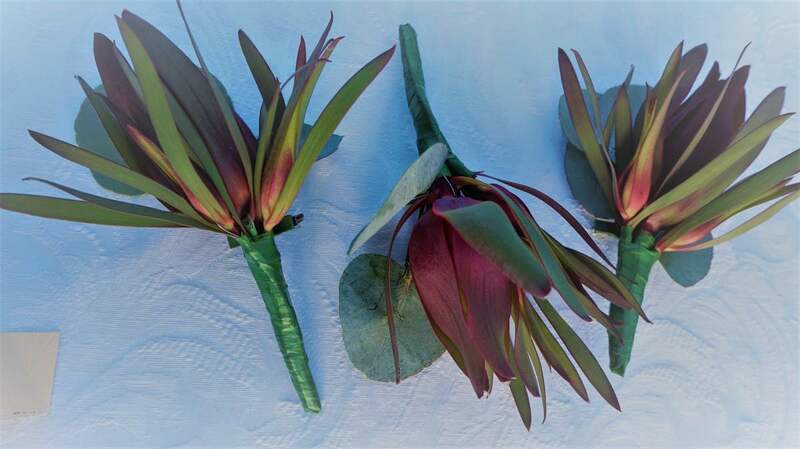 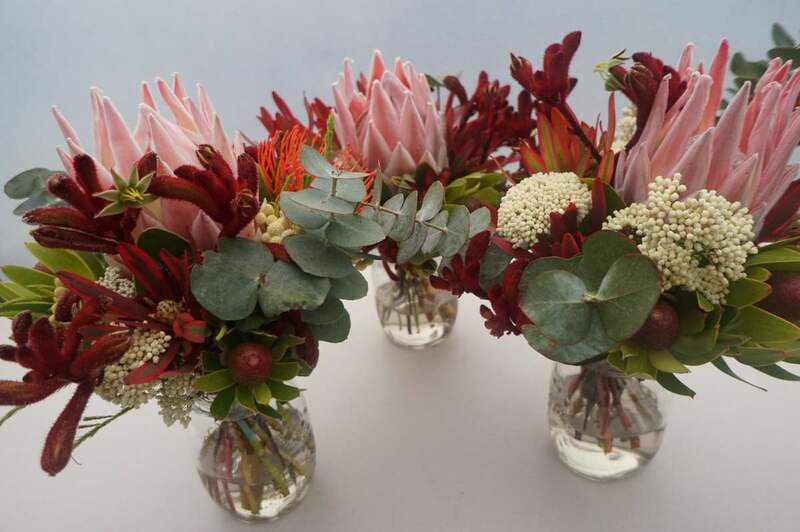 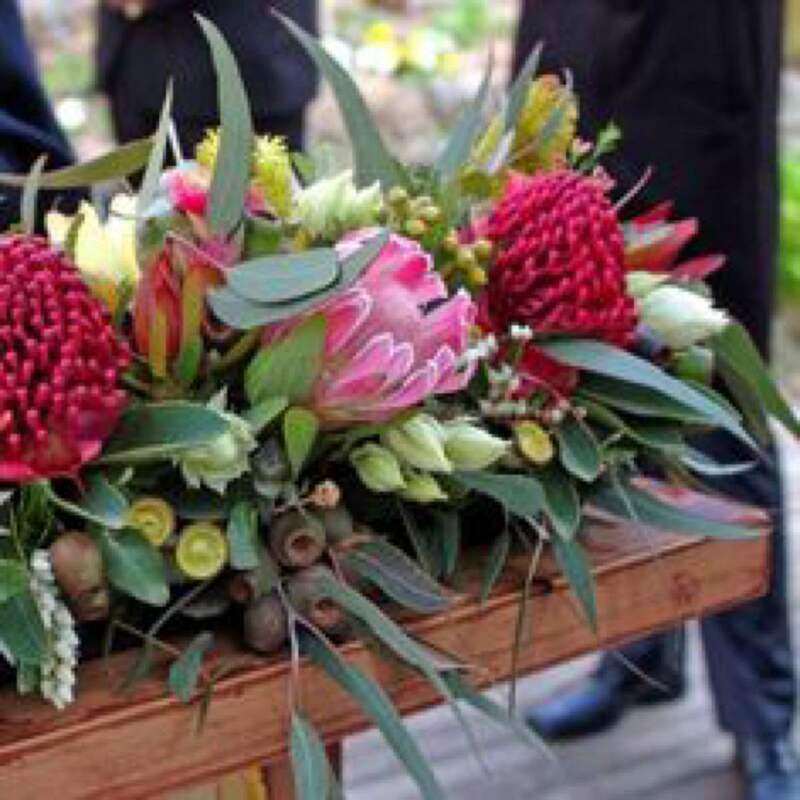 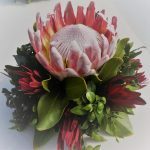 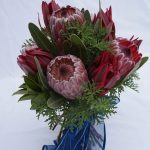 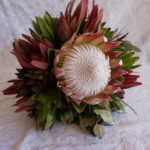 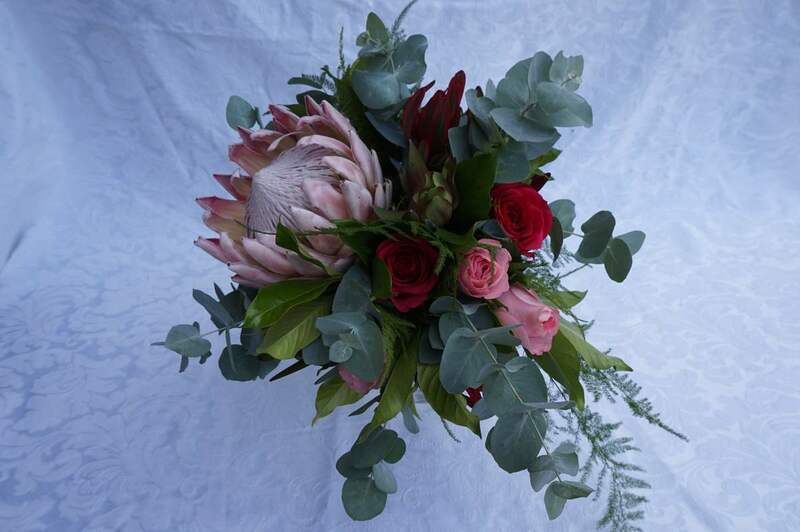 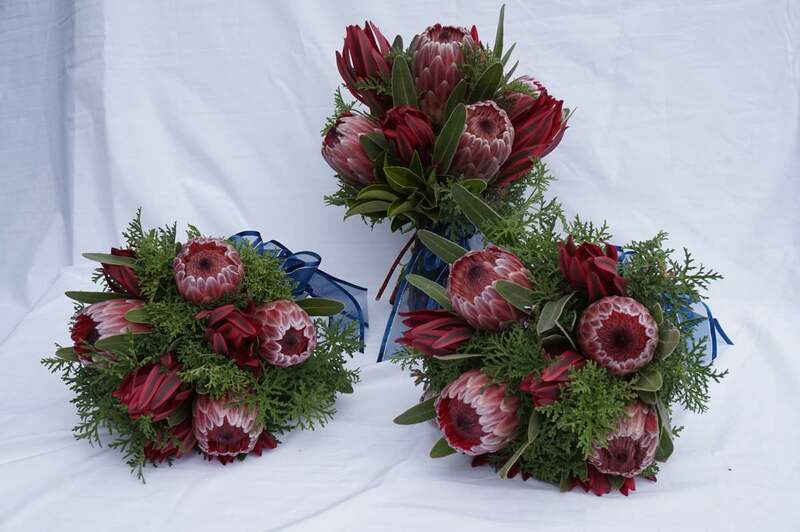 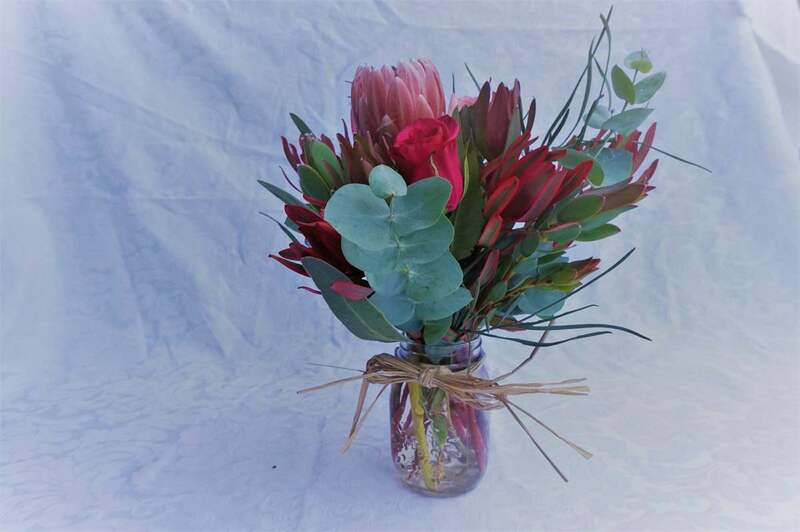 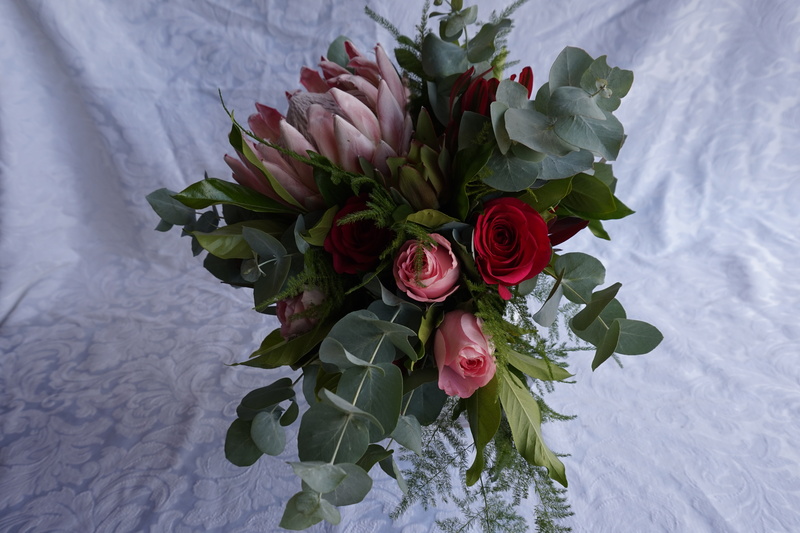 We can use our own Proteas or wildflowers, or any exotic flowers you choose. 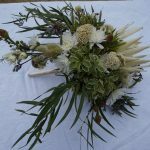 Most wildflowers are available in Spring, being September, October, November. 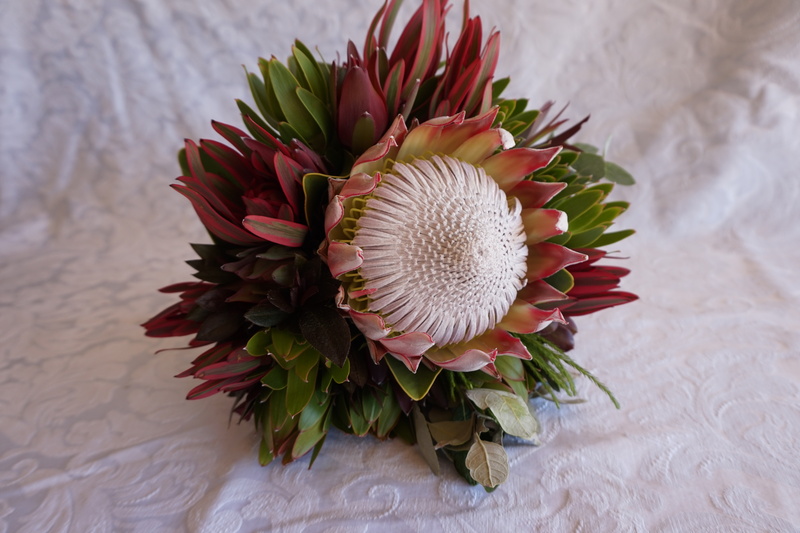 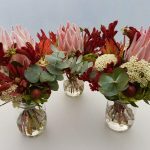 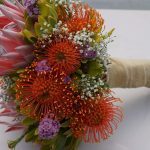 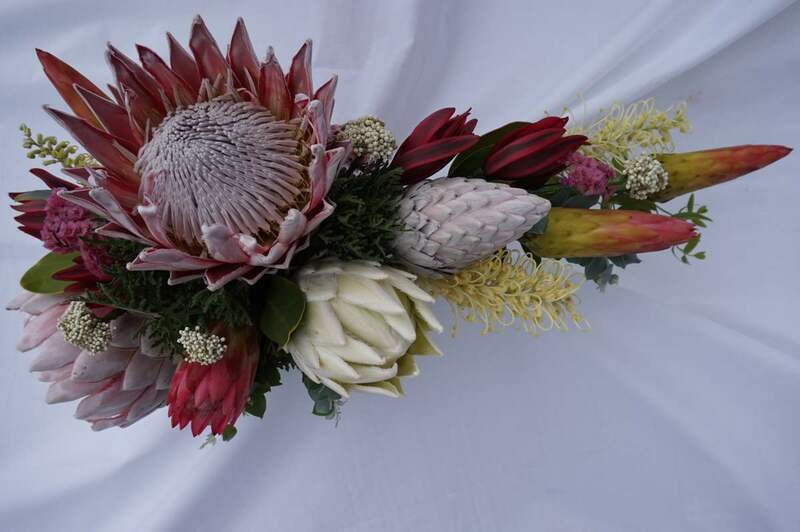 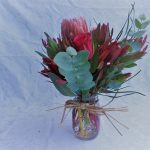 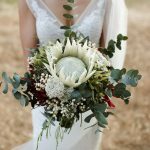 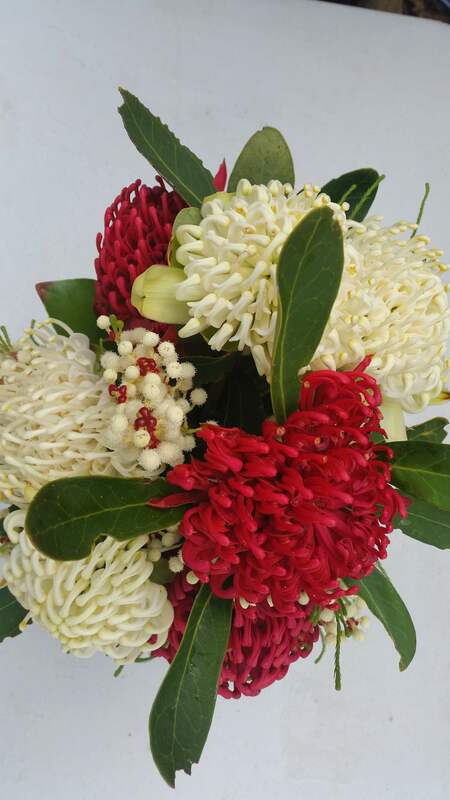 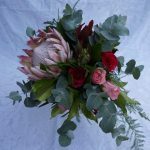 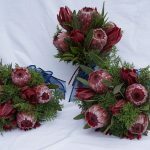 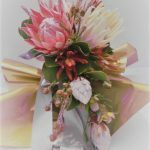 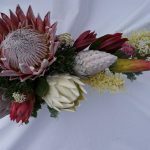 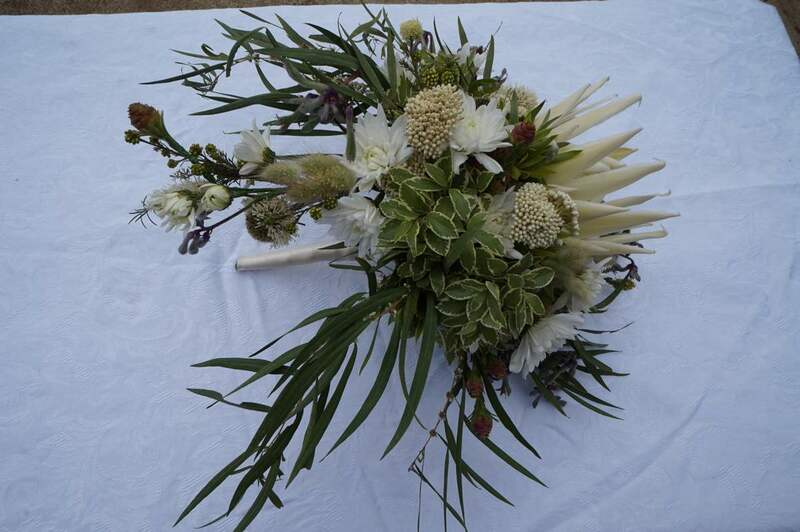 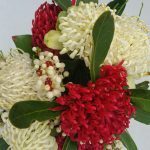 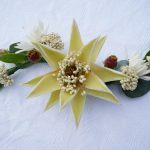 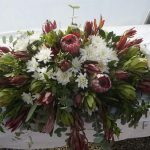 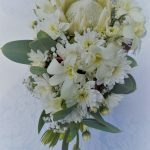 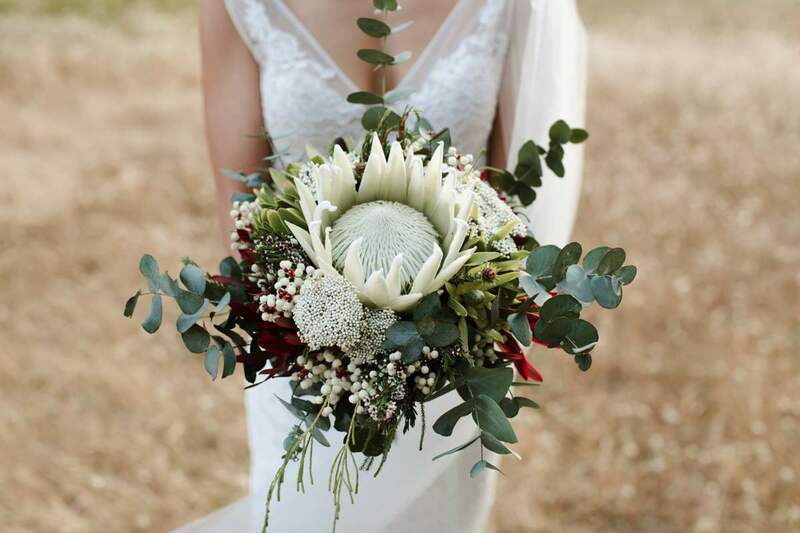 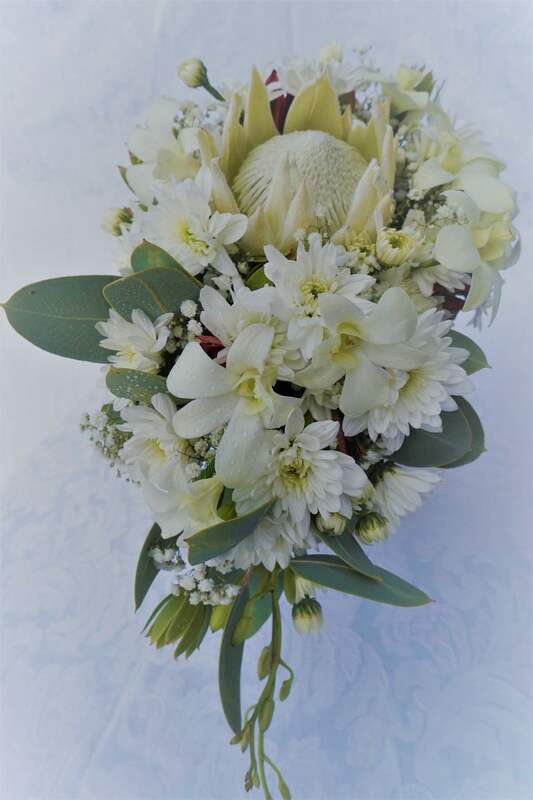 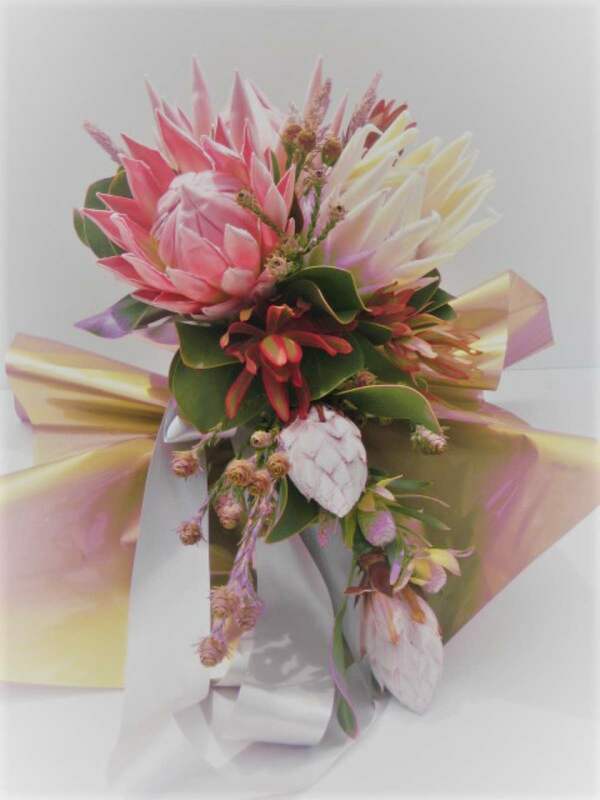 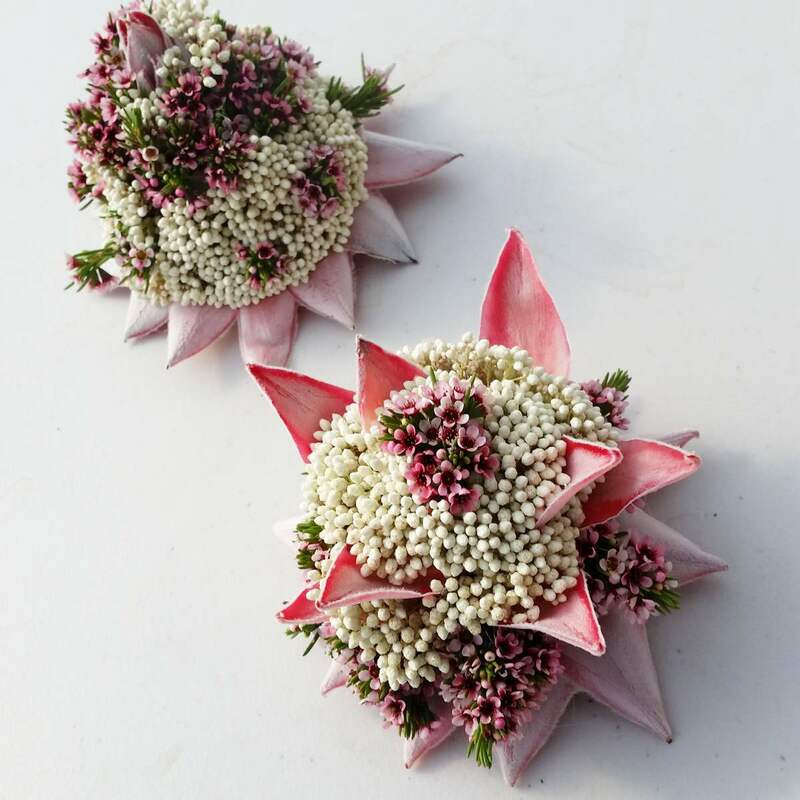 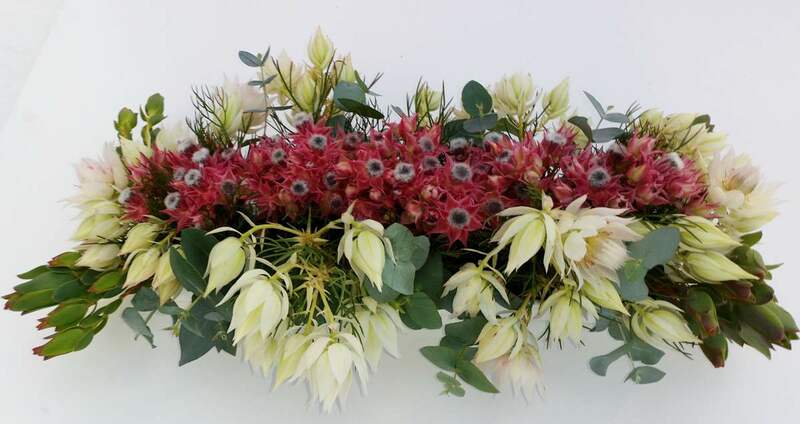 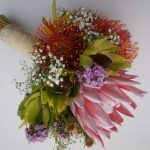 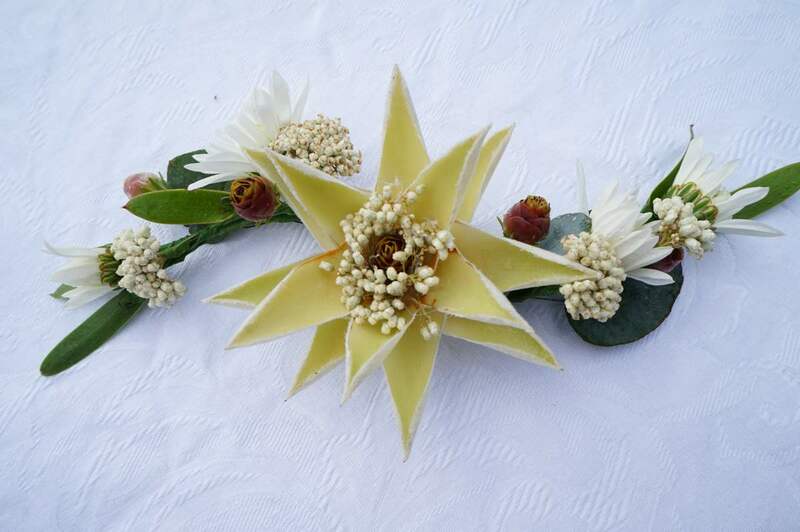 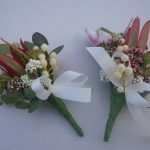 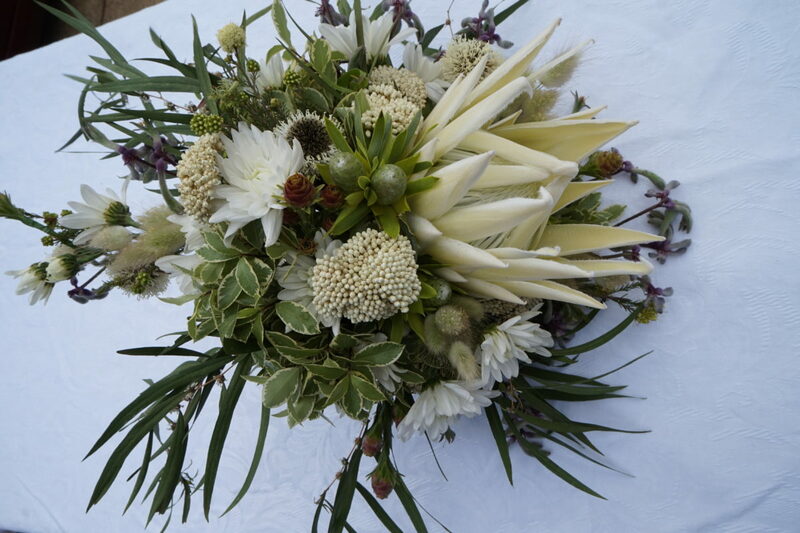 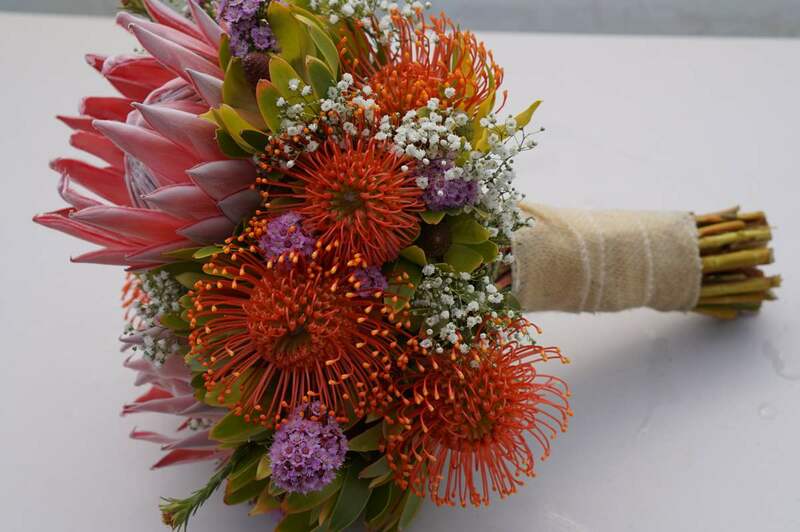 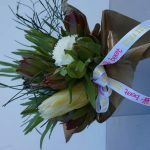 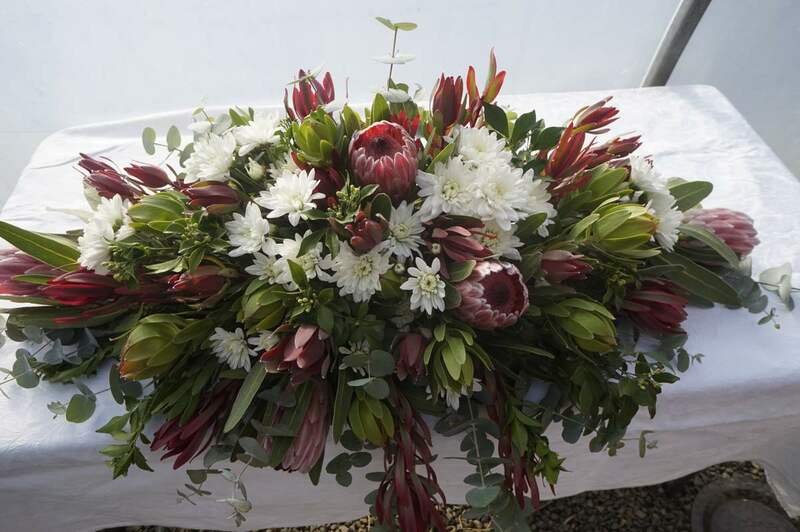 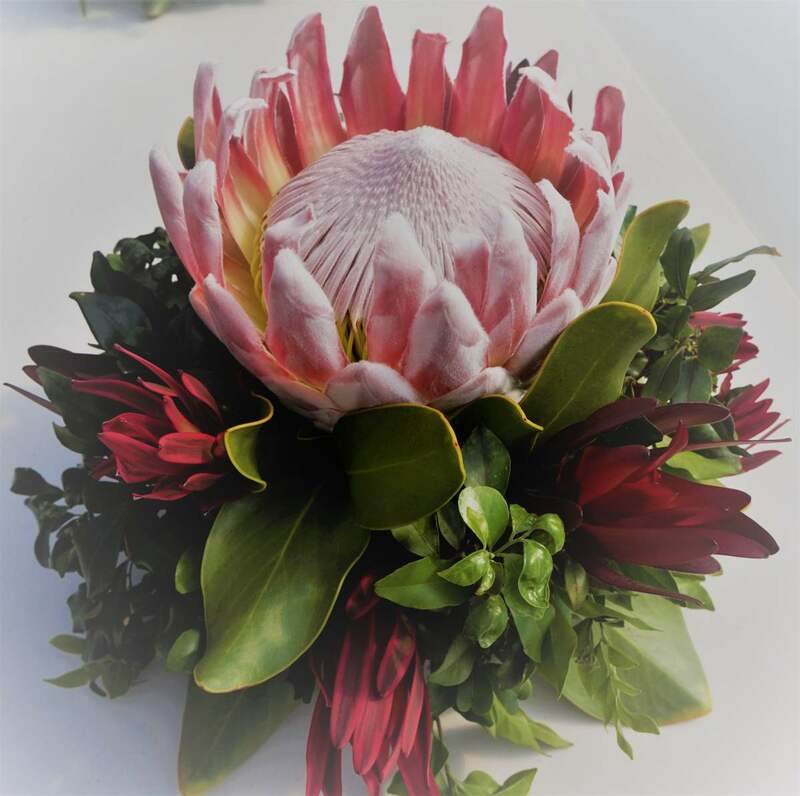 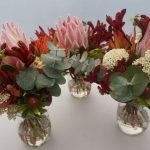 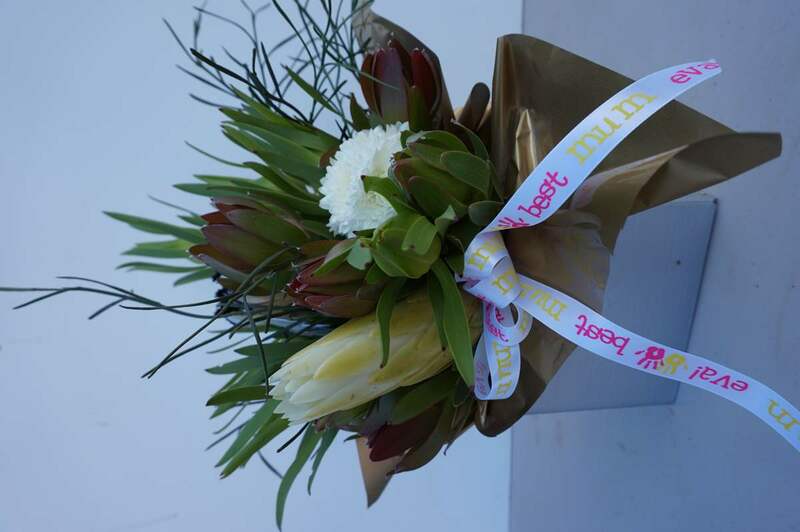 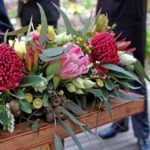 Some speciality flowers are available at other times, for example White King Proteas may be available from March through to December. 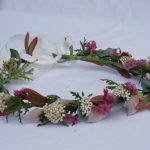 Serruria (commonly known as “Blushing Bride”) is available in May, June, July in three colours. 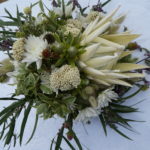 You can visit the farm and choose the flowers you would like to use from pictures or out in the field.